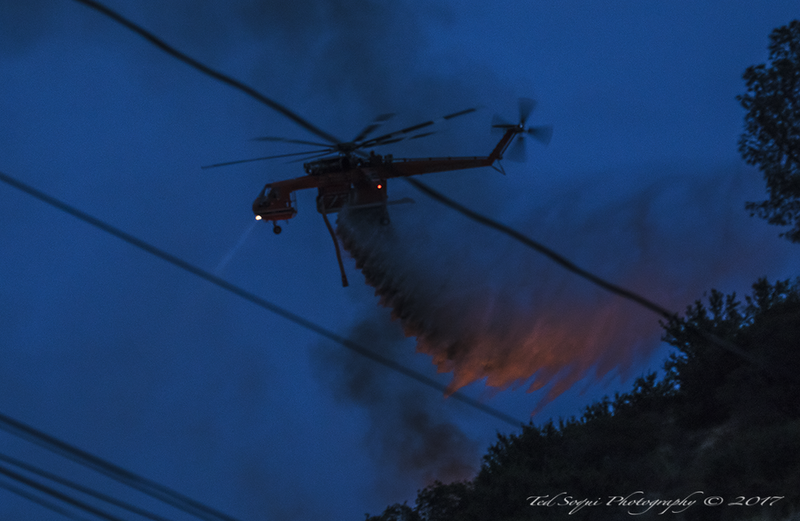 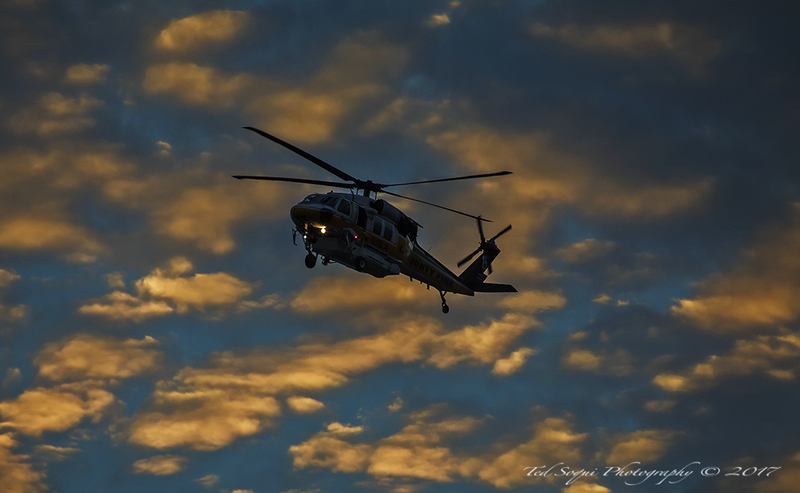 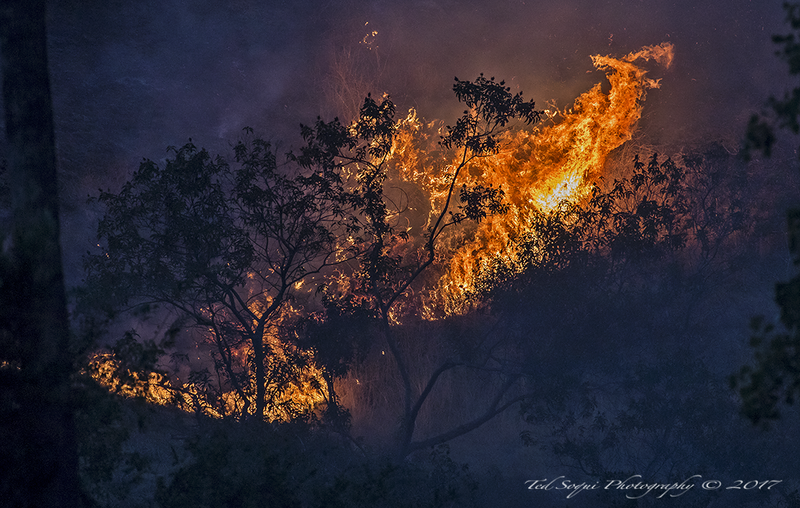 As day turns in to night, the water dropping helicopters of LA City, LA County, and Erickson continue in to the evening. 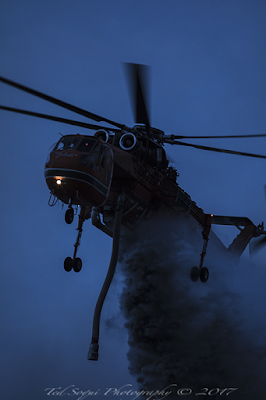 New night time flying technology has extended the flight hours of fire fighting capabilities in to night. It's amazing to watch these giant choppers fly and drop water at night on the La Tuna fire, which is officially the largest fire in LA City history. 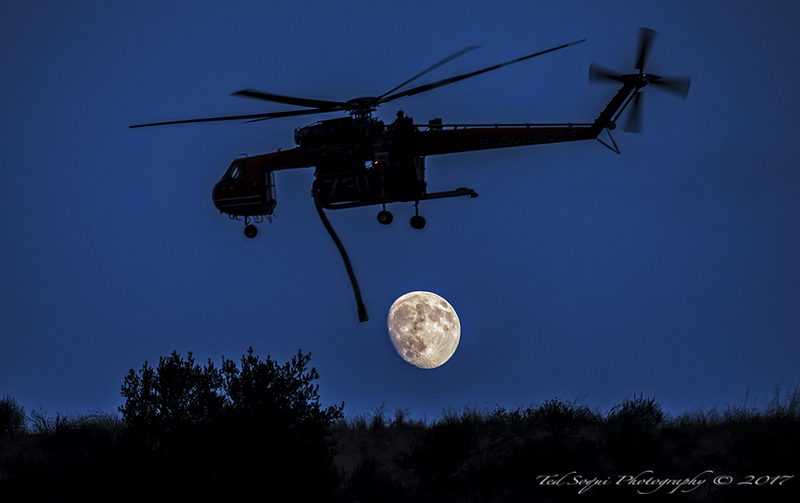 Erickson Air-Crane flying over the moon. 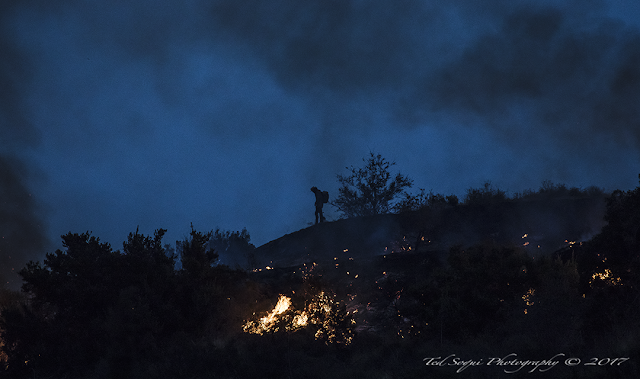 Fire fighter spotting water drops in Sun Valley. Erickson Air-Crane doing a night drop.